With a dedicated service department and experienced technicians, Springer-Peterson is able to meet your roofing needs in a time efficient manner. Whether it be a leak, roof repair or preventable maintenance, Springer-Peterson’s roofing experts are ready to serve you. 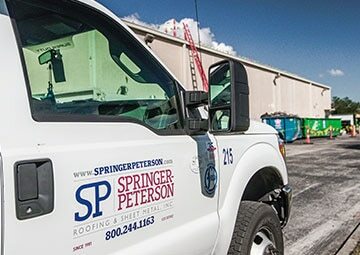 We’re honored that Springer Peterson is considered the go-to Industrial and Commercial roofing provider for Central Florida, spanning more than three decades. With a wide range of capabilities, we are proactive with customers’ roofing needs while contributing to their bottom line. Asphalt to single ply to metal roofs, we’ll help you choose the right-fit solution. You should get the most life out of your roof and this is possible with our top-notch maintenance services. 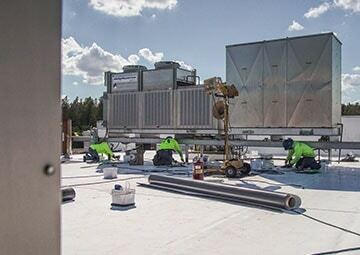 Our track record of optimal roof performance and minimal breakdowns will avoid major interruptions to your daily operations. Springer-Peterson’s Service department is unique with its legendary quick response time and dedicated, talented, and tenured staff. We’re often told our service is defined by professionalism, reliability, and relationships. This is what makes us your ideal roofing partner. 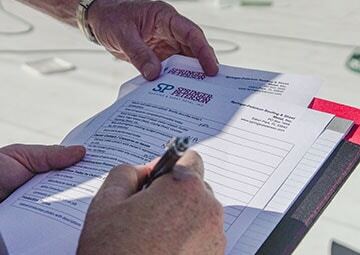 If you haven’t experienced Springer-Peterson, we’re excited to meet you and demonstrate how we can take care of all your roofing needs. And if you already have, we thank you for your trust in us and continued service.